“Foundations of Democracy” marks 20 years of Wiener Städtische Versicherungsverein’s Architektur im Ringturm series. The first show took place in June 1998 in the Ringturm Exhibition Centre, which was designed by Boris Podrecca.The current exhibition dovetails with the 2018 commemorations of the 100th anniversary of the First Austrian Republic, focusing on the socio-political role of architecture in the last century. It covers fundamental aspects ranging from architectural drivers of the country’s transformation to architecture’s contribution to society as a civic project, both today and in the past.The focus is on the role of architecture in Austrian society’s transition from a historically outdated set-up to a modern republic. The development of new building types, particularly those used in education, culture and social services, shaped the public, which played an active part in building the new state.The exhibition pays tribute to nine Viennese buildings which were closely linked to the political and cultural reforms seen in the early 20th century. 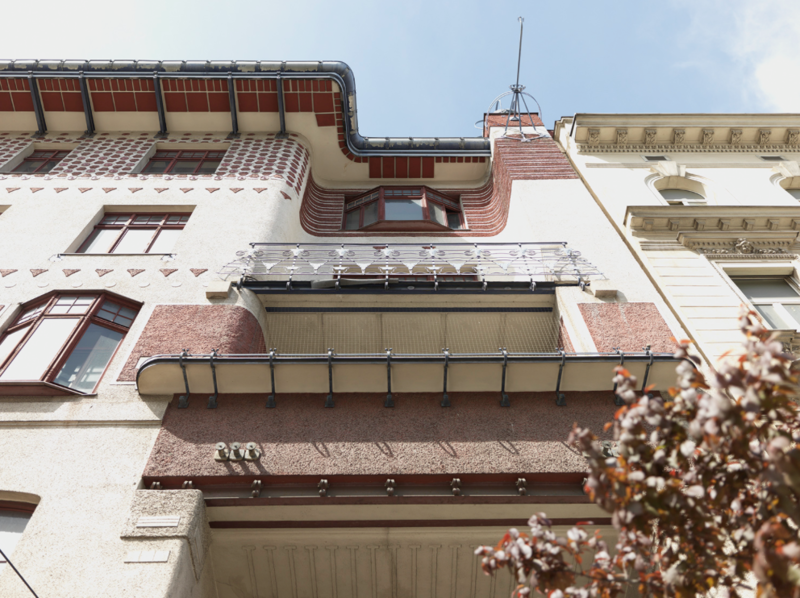 Nine projects from the new democracy’s early years and before – from 1900 to 1930 – give a fascinating insight into Austria’s architectural development during this time of upheaval. In addition, 100 other constructions, including present-day examples, provide a striking illustration of our country’s architectural history.The selected constructions in the Austrian capital, which made a significant contribution to the emancipation of society as forms of spatial organisation and a means of enhancing material well-being, include: the legendary Arbeiterheim “people’s house”, a cultural and political centre in Vienna’s Favoriten district; the Urania, a public educational institution and observatory; the Vorwärts printing and publishing house; the Heilig-Geist-Kirche (Church of the Holy Spirit) in Ottakring; the Eugenie Schwarzwald school; the visionary Rauchfangkehrergasse residential complex in the Sechshaus district; Friedrich Kiesler’s interior design for the Konzerthaus; the kindergarten in the Goethehof apartment block; and the expansive Kongressbad open-air pool in the city’s Sandleiten area.